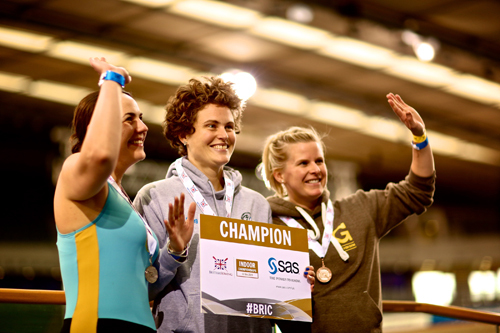 A number of CARA clubs sent representatives to take part in the second British Rowing Indoor Championships on Sat 12th December 2015 – with some excellent results for the coast against rowers from across the UK. 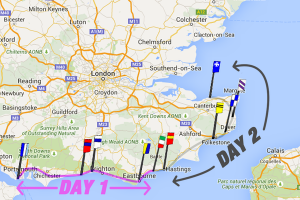 The coast’s top result came early in the day, with Shoreham’s Charlotte Pigg taking home the British Champion title, cruising to gold in the women’s 30-39 2k category in a time of 7mins 17secs, significantly ahead of the other competitors in her field. 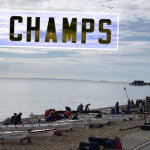 Shoreham also produced two other medal winners, with bronzes from Sarah Faith in the women’s 30-39 lightweight category and from Max Huxtable in the open men’s lightweight competition. 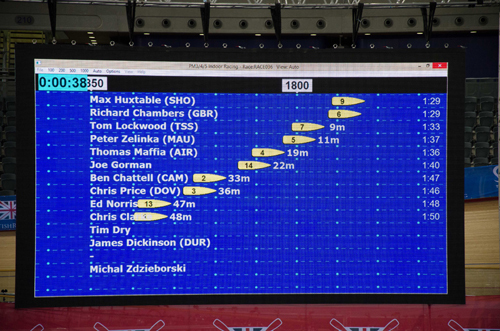 The latter had a storming start, matching the eventual winner GB rower Richard Chambers stroke for stroke over the first 500m.However, unable to maintain the pace set by the full-time GB athlete, Max would eventually take the bronze medal; an impressive performance against one of the nation’s best lightweight rowers. Eastbourne’s Steve Turner took home CARA’s final medal – a bronze in the men’s 50-54 category with an impressive 6:32.6. 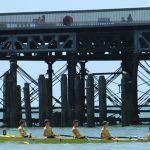 Alongside the CARA competitors there were impressive sights as the GB mens eight battled it out in the open 2k event – a huge time from Moe Sbihi as he took Matthew Pinsent’s long-standing British record. 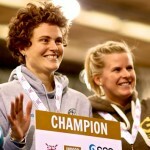 A huge congratulations to CARA’s medal winners, and to everyone who took part in the event. 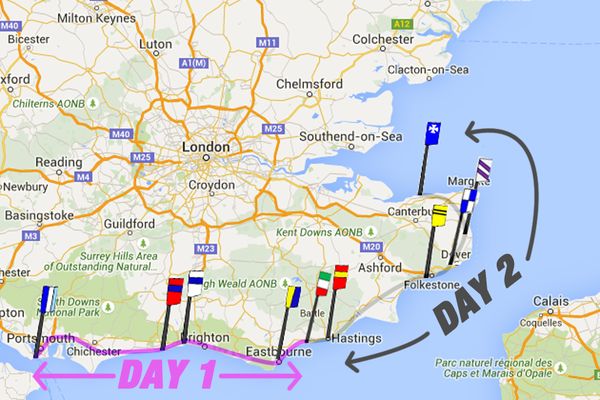 Other times were impressive against stiff national competition and show the strength of the coastal rowers. 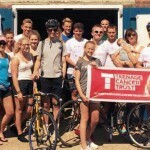 Congratulations to Reece, Owen and Luke Mullaney from Deal Rowing Club who this weekend completed an epic sponsored cycle ride from Southsea to Herne Bay in aid of the Teenage Cancer Trust. 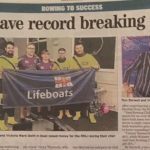 The ‘CARA Unites Against Cancer’ event was dreamt up by the trio, and saw them stop at every CARA rowing club across the two days, being joined on each leg by one or two members of each club. The boys’ efforts to unite the association in fundraising has been fantastic – to donate to their cause click here. We’ve got a new website! 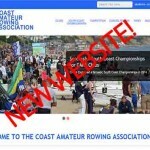 So we at CARA have finally succumbed to pressure from members to update the website and bring a more up to date experience to current and potential rowers from the South East. 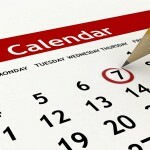 We think our new website is a great step forward and will allow anyone to understand what we do, why we do it and to see how our clubs are progressing both in the league and via posting event on our news page. Please bear with us while we finalise this new design and get to grips with the site, while we do this we will gratefully receive all constructive feedback. Whilst we have a new website to shout about we need help from our members to maintain and update it, please get in touch (using the contact page) if you are willing to help! Posted in Uncategorised | Comments Off on New Website!